Most people are going to spend the majority of the weekend yelling at a TV. 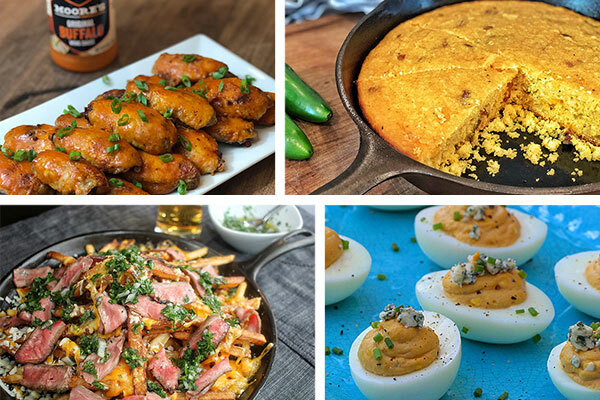 Whether your NCAA tournament bracket is still alive or busted beyond hope, the best part of the Final Four is gathering friends and family, getting loud, and snacking well. If you’re a regular reader of this blog, you know that if I’m planning on guests, I’m also planning on food. So, when I’m prepping for my March Madness viewing party I always consider a few things: Is the food shareable? Can you pass it easily without dropping it on the dogs/kids/carpet? Can you eat it while yelling at the TV? But of course, it’s got to have amazing taste… so good that you might not care if your team is losing. I’ve assembled a Final Four bracket that will deliver a winner no matter what you pick. Prepare these great appetizers and you’ll be amazed at how quickly they vanish. Don’t worry, I’ve weighted each bracket for you, so you can’t lose. 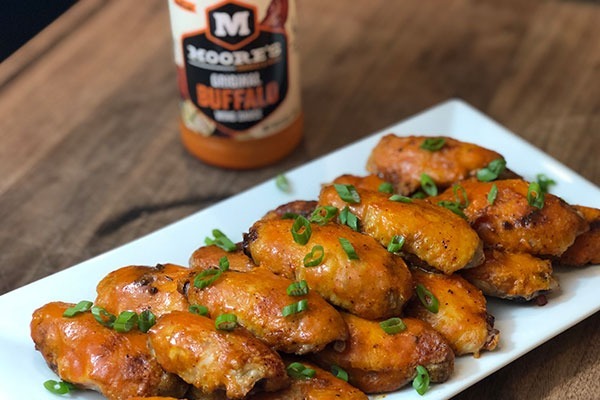 Saucy and savory, there’s a reason wings have become the official food of most sporting events. This impressive recipe takes the frying out of the equation. Gone are the grease burns and horrendous cleanup. Pop these wings on a grill and you’ll get the crispy-yet-juicy texture and bold flavor that everyone loves. Also, they pair beautifully with beer. This recipe is guaranteed crowd pleaser. The only drawback—invest in some napkins and wet wipes before you serve them, because things will get saucy. Get the Grilled Crispy Wings recipe. A Southern classic gets just a kick of heat with this innovative recipe. 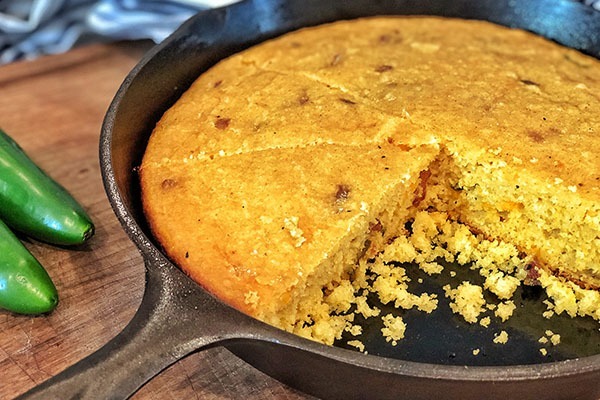 Any time you sit a skillet of cornbread on a table, you’re gonna get smiles, but I tweaked the recipe to get some modern flavor in there. The heat is subtle, and I’ve added cheese because when you see a chance to add cheese, you should! This dish gets points for convenience—you can serve it right out of the cast iron skillet for a rustic look. It’s also great comfort food if you’re watching your team lose. Get my Cheddar and Jalapeño Cornbread recipe. A fun twist on a classic game-time nosh, this is my version of nachos. I call these “Frachos”, because I’ve made a game day substitution—homemade fries instead of traditional corn chips. This recipe is one of my favorite ways to use up leftover steak and it’s even better topped with my chimichurri. Whether guests dig right into this messy finger food or take the knife and fork route, everyone will be throwing elbows for the last bites. 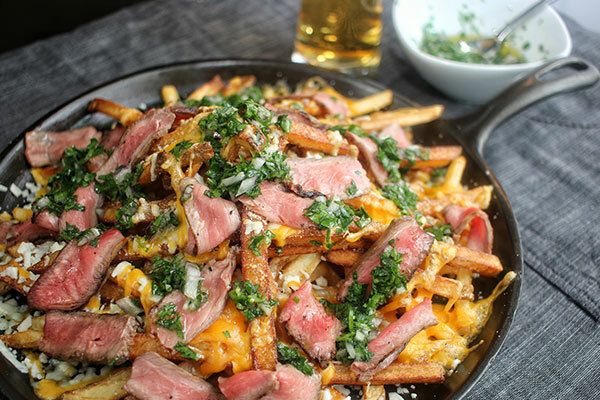 These delectable steak fries combine bright flavors with the fan-favorite combination of meat and cheese. If you’re looking for a pedigreed crowd pleaser, this is your recipe. Think about it, what’s a more classic perfect-for-passing snack than a deviled egg? It’s a cheer worthy choice for game day, or just about any party. What’s the best thing about making deviled eggs? The recipe invites improvisation. There are thousands of ways to customize this staple of picnics and parties. I chose to up the game of these eggs using buffalo sauce and blue cheese crumbles. They’re a pop-able food that will be be gobbled up, no matter who’s going down. 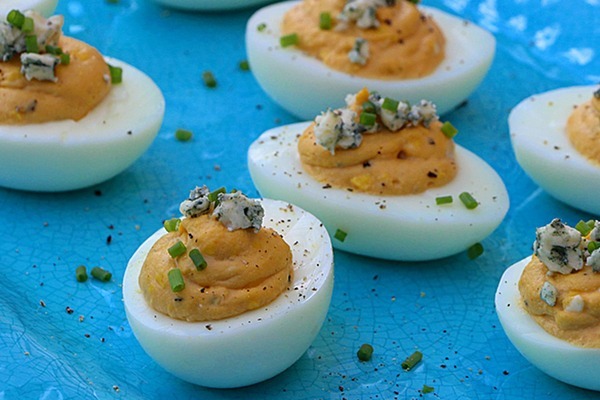 Get the Buffalo Blue Cheese Deviled Eggs recipe. So that’s the GrillSeeker Final Four. Which do you think will cut down the nets in the battle of the game day appetizers? Choose your bracket, cook it up, and be sure to tag me on Instagram.